Visit the best of Raja Ampat, Komodo, the Banda Sea and the Lesser Sunda Islands. The upper deck cabins also have large picture windows and private outdoor balconies. 4 decks and features a contemporary, modern design. Outdoor lounge and dining area, spacious partially covered sun-deck and al-fresco bar. 2 skiffs are available for easy dive site drop-off and pick up. 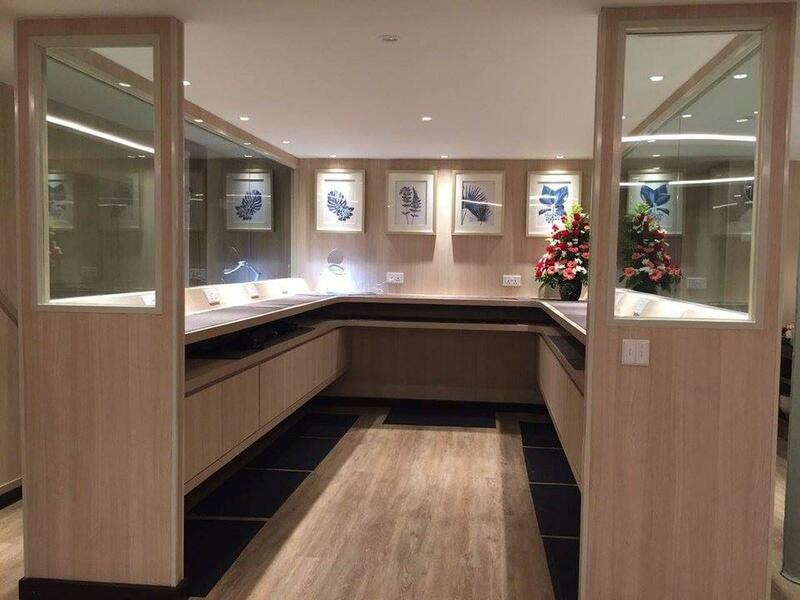 Tastefully decorated, the five lower deck cabins have either two single beds or one double bed. A porthole lets in some natural light. Averaging a spacious 20 square metres in size, each cabin has individual air-conditioning and en-suite bathrooms with hot water. 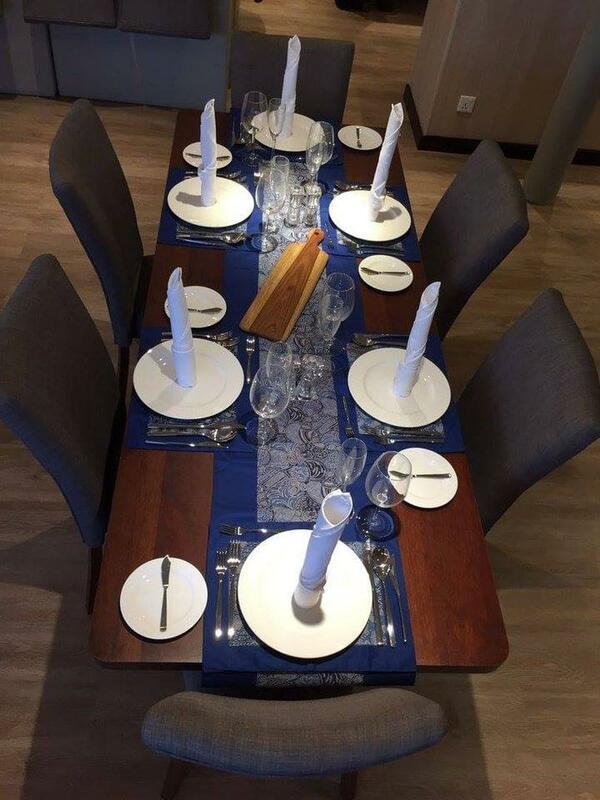 Tastefully decorated, the six upper deck cabins have either two single beds or one double bed and a large window. Averaging a spacious 20 square metres in size, each cabin has individual air-conditioning and en-suite bathrooms with hot water. Upper deck cabins feature a private outdoor balcony. The Gaia Love is is purpose built to sail and explore the far reach regions of Indonesia and complies with class requirements of Biro Klasifikasi Indonesia. Dive Gaia aspires to make a positive impact through socially responsible itineraries that benefit the environment and communities we operate around. The Gaia Love is a modern 40 meters steel hull vessel build from the ground up in Batam, Indonesia. 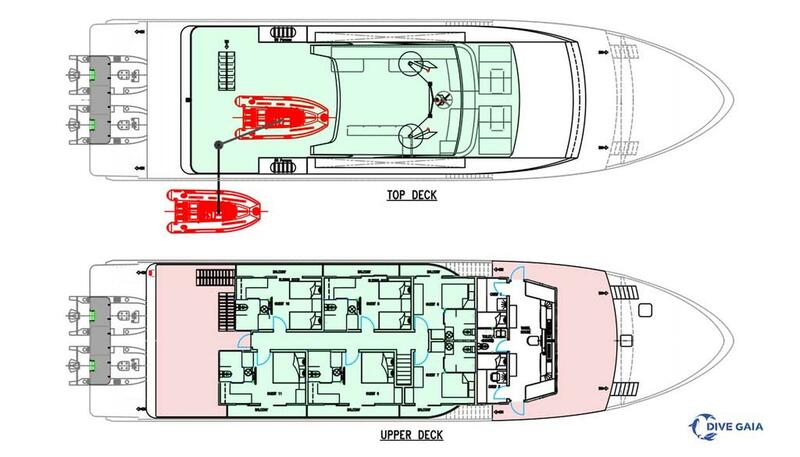 Designed with a modern contemparary look with an emphasis for diving in comfort, she accommodates up to 20 guest in 11 spacious ensuite rooms; six on the upper deck and five on the lower deck. Each room averages in size of approximately 20 square meters, individual air-conditioning and ensuite bathrooms with hot water. 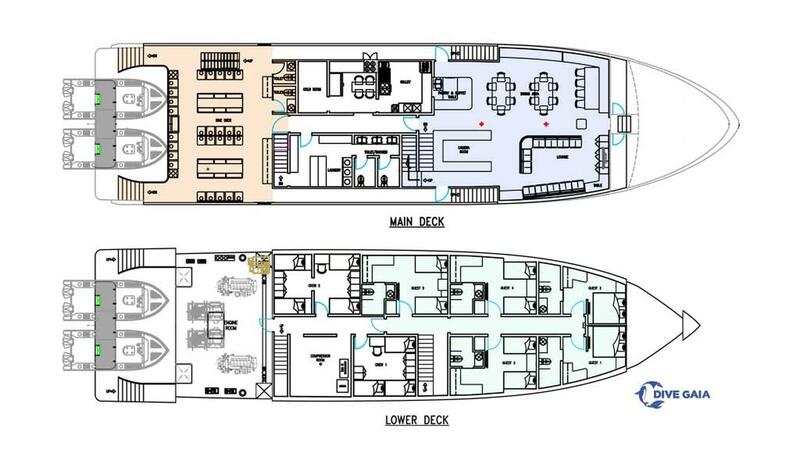 Upper deck rooms will feature an additional private outdoor balcony. 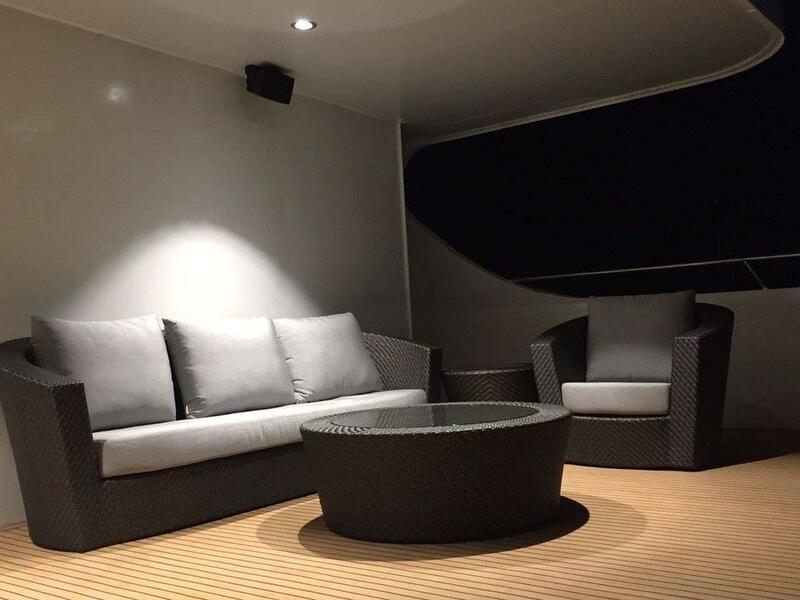 Right at the top deck or sundeck features a bar for evening gatherings and relaxation under the stars. If you prefer to dine outdoors, this will be the perfect area to enjoy your meal. Sufficient shelter is available here as well as unshaded areas for those who wish to soak up some sun.